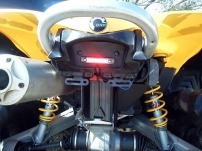 Here are a few great pics of our Brite Lites 4" LED tail light installed on a CanAm Quad. Outlander and Renegade tail lights. New for 2015: LED Accent Modules with 1 watt SAMSUNG LED Chips that are 10 times brighter than previous kits! 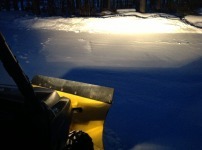 Here are a few good pictures of what a few external LED lights can do to see while plowing. 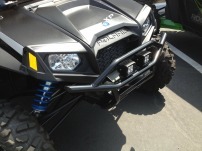 RZR 4 seater Lit UP! New Pics of the latest UTV project. 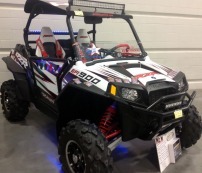 Here is the maxed out Ranger RZR 900 XP we had at the Milwaukee show! Both Double and Single Row Xtreme Off-Road LED Light Bars! 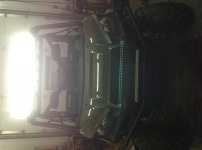 Here is a few picture of a Full size UTV with LEDs on the push bar and roof. 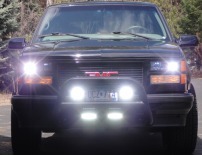 Brite Lites now has a full line of LED Light Bars to fit any application. Both Slim Single row and Mega Brite Double Row LED bars from 5" mini lights all the way up to the BIG DADDY 42" Double Row with over 15,000 lumens of light output. 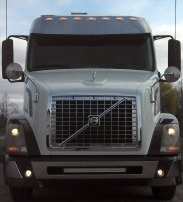 Makes going out at night much safer and your machine will turn heads. 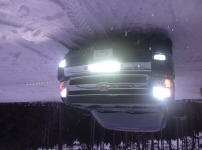 Chev Pickup gets full lighting treatment! Check out this new jet black Silverado 1500 with HIDs all around and a Xtreme Off-Road LED light bar in the bumper opening. Here are some pics of a project we completed a few months ago for a good customer. 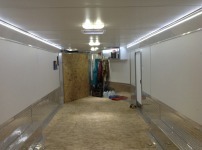 Here are a few good pictures of Interior Lighting options at Brite Lites. We have several good options to get quality white light inside your trailer or camper and use a very low amount of amperage. Here is a couple of great photos of the new Stud Boy semi with the 32" Double Row Brite Lites Xtreme Off Road LED light bar installed in the front bumper. 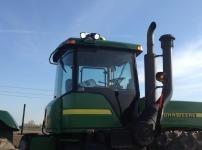 Brite Lites HID work lights on massive John Deere 9300 4x4 tractor to light up the night and see all around! 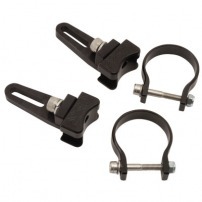 Polaris Sportsman gets extra light! 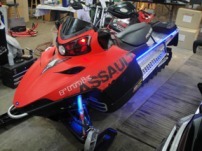 Polaris Assault all Lit' UP! 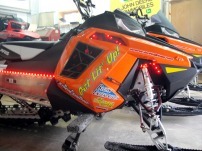 420 LEDs Light this sled up! Worlds FIRST HID kit for an AC charging system and NO battery! Polaris Dragon that turns heads! Here is another example of installation on a new Polaris snowmobile with PRO ride chassis. Full 32 function remote control LED strips. 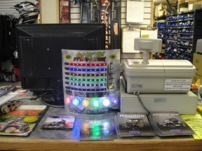 Multi color LED light strips on Motorcycle change color and are remote controlled! 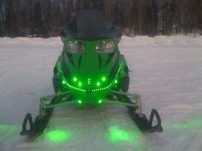 Customer photos of Brite Lites Lit' Up Sled! 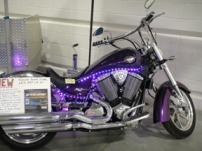 Here are details of a recient installation of the remote controlled, color changing LED strips on a 2009 Harley Davidson Road Glide. Brite Lites 3200 lumen LED headlight kit! 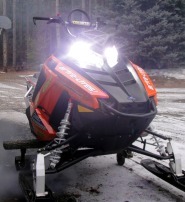 New brite Lites remote Control Multi color LED strip kit installed on snowmobile. Awsome Tricked out spyder sled!